Think today just can’t get any better? 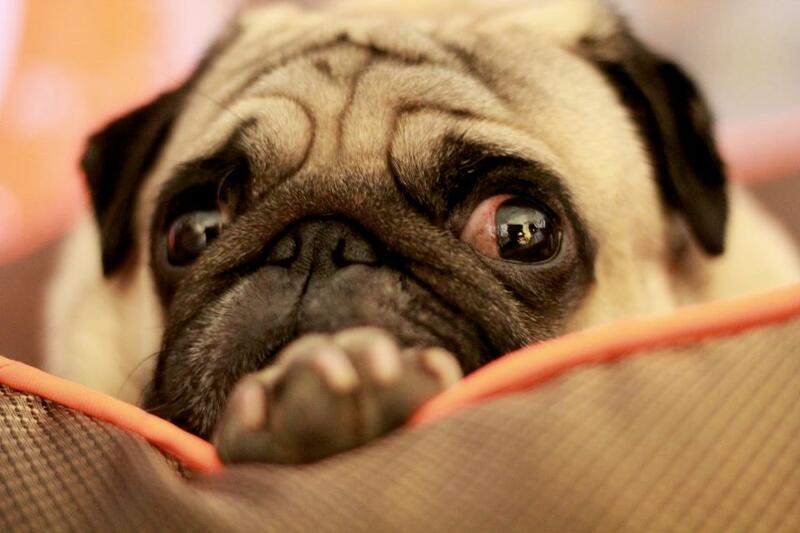 So does this pug! We think one of the things that makes pugs so loveable is their boundless optimism and excitement over every little thing. You have to admit, their unbridled happiness can be pretty contagious! 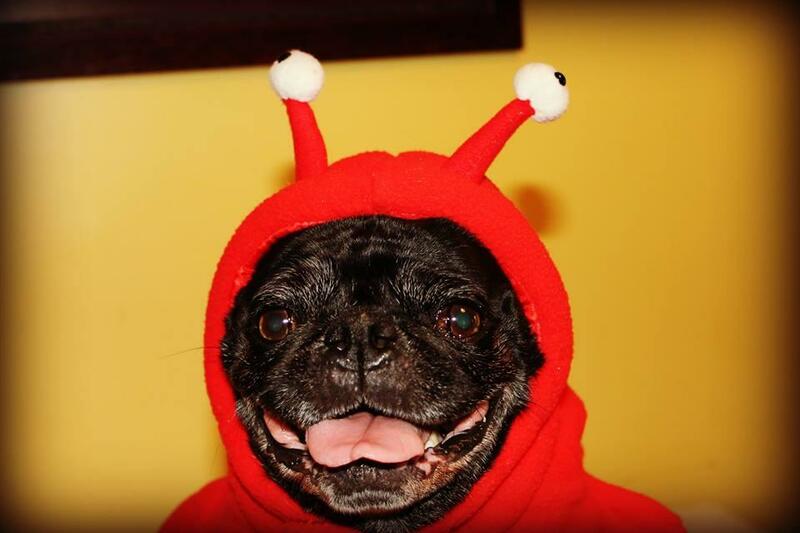 This delighted pug is just tickled with how cute he looks in this costume! With Halloween coming up in just a few weeks, it’s no wonder he’s excited to try it on! We hope you have a very happy Sunday! So close but yet so far…. 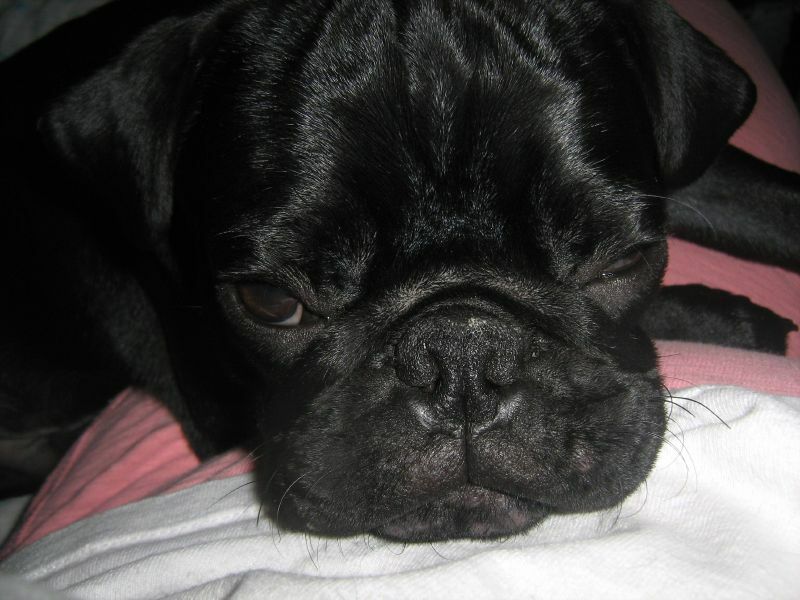 After an exhausting week at work, this pug is certainly dreaming of what fun the weekend holds. 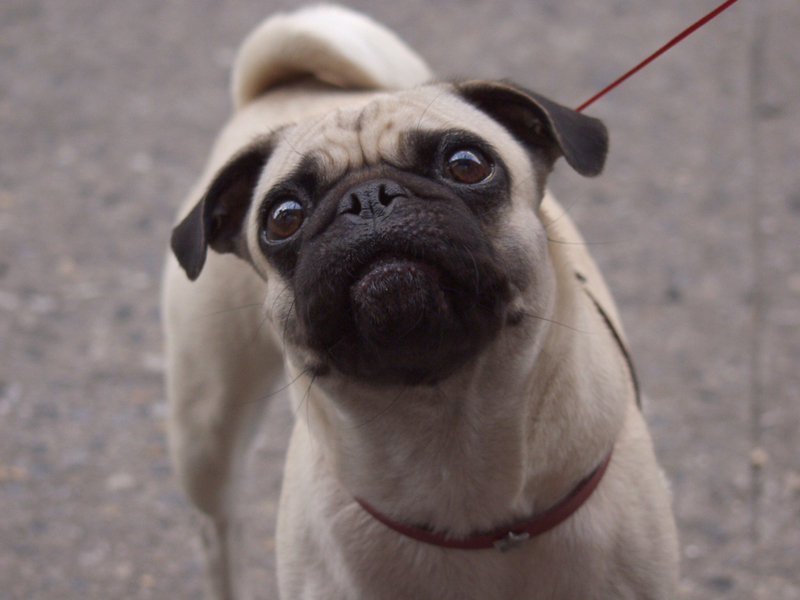 Are you taking your pug(s) for a walk this weekend? The eject button: standard on many pugs! 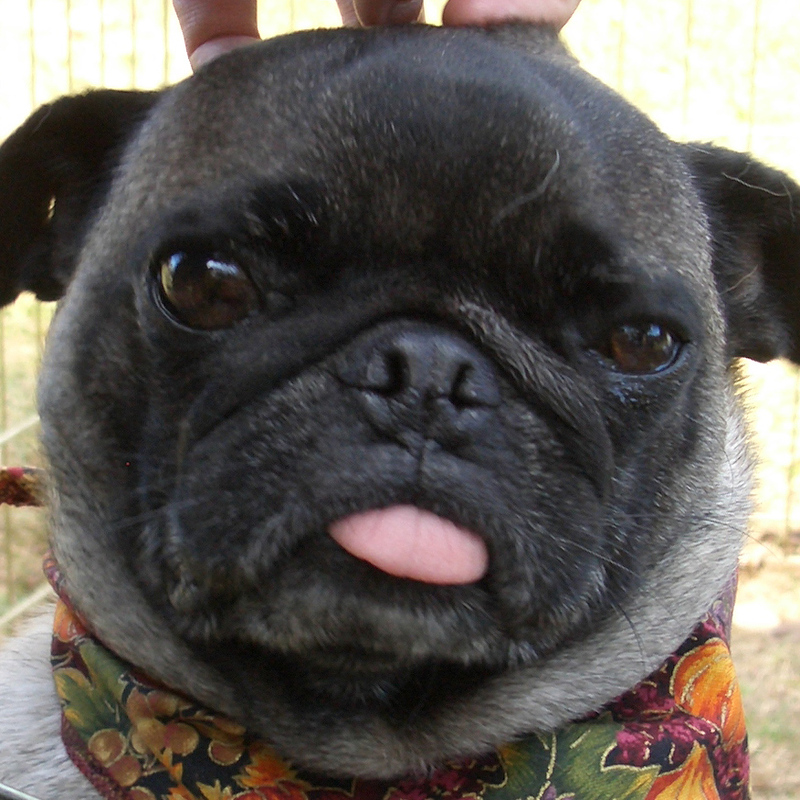 It looks like he found the “eject tongue” button on this pug! Are you sure the weekend’s over? We are sad to see the end of another weekend, but it’s time to drag ourselves out of bed again to embrace the new work week. Ready or not, here we come! A charmingly familiar face like this one greets us every time we’re eating something in the presence of our pug. 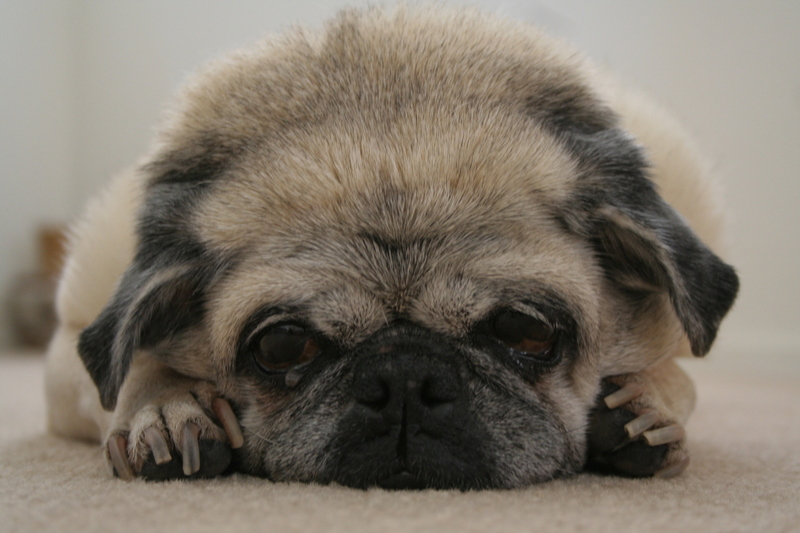 It doesn’t matter where we are, who we’re with, or how long (or short) it’s been since our pug’s last meal. We automatically become irresistibly captivating as soon as we are holding something edible! Alas, there are going to be those days when no matter what you try, your hair is just not going to cooperate. Don’t despair though! Even pugs have a bad hair day now and then! 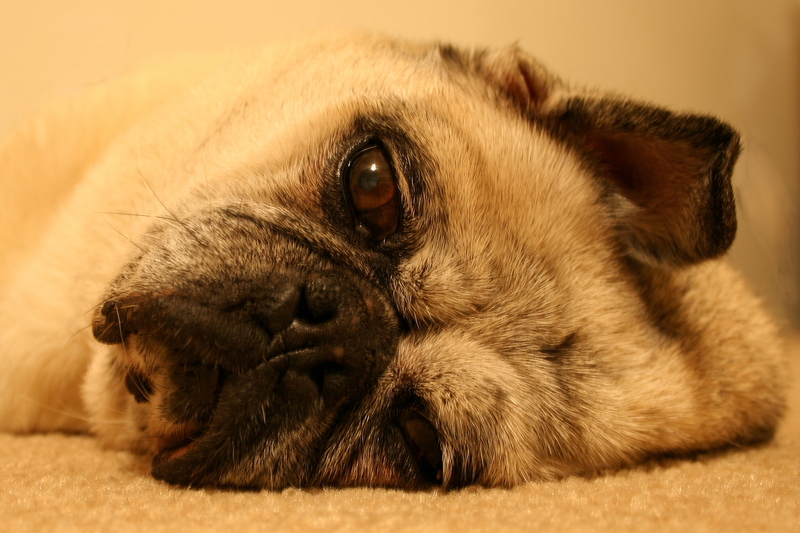 We sometimes wonder if pugs feel the same way about Mondays as people do. Do they dream about more weekend and loathe rolling out of bed on Monday mornings? We think so. What do you mean it’s only Wednesday?! Some weeks seem to fly by, while others drag on and on. This week is going by slower than most… how is it possible that we’re only halfway through?! 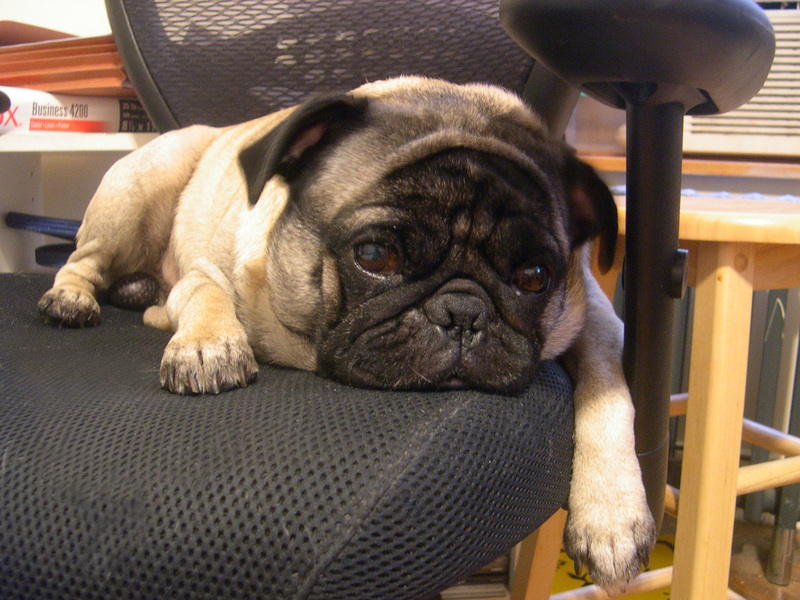 We think this pug feels our pain. Sometimes you the weekends just don’t feel long enough and you wish you had that extra day. Oh well, new week, here we come! 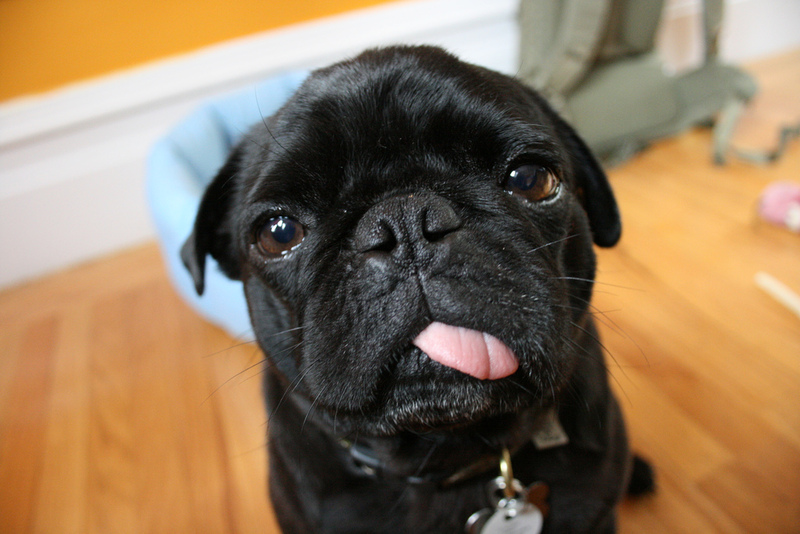 Pugs have so much character, and they are known for having quite a stubborn streak. We have learned that when our pug decides she is done walking, then she is definitely done walking. 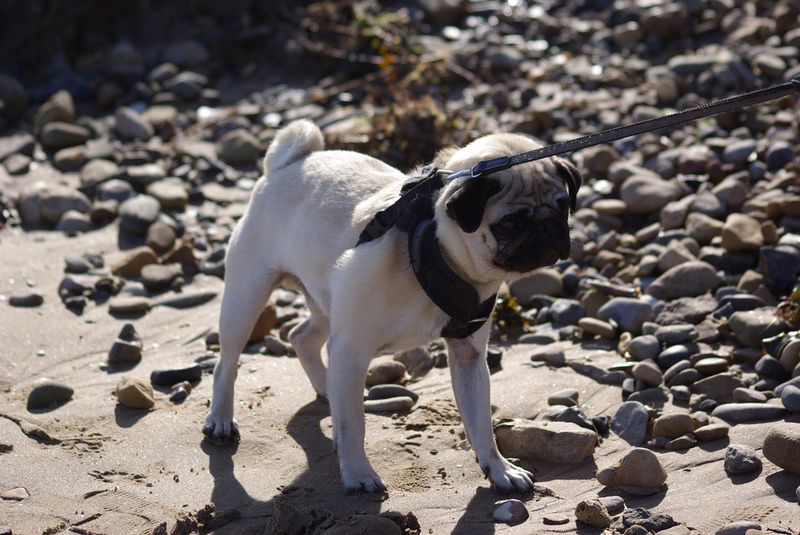 This pug appears to be not so sure about this whole “long walks on the beach” idea.